Umami Burger continues to grow its global footprint with the opening of the popular restaurant in Hudson Hotel, a pioneer of the boutique hotel movement located in the heart of Manhattan, on July 10th, 2017. Hudson, situated in bustling Midtown Manhattan and a stone’s throw from Columbus Circle and Central Park, is an ideal spot for Umami Burger. More than a hotel, this energetic social hub features exciting accommodations like the Sky Terrace and Private Park in addition to its 865 guest rooms, 11 suites, and penthouse. With a combination of both beloved signature and Hudson-exclusive menu items, along with taste-making décor, the 3,000 square foot space is poised to become a dining destination and convivial gathering space for hotel guests and New Yorkers alike. As with all Umami Burger locations, the Umami Hudson experience is unique and authentic to the destination. In addition to Umami Burger signatures such as the original Umami Burger with Parmesan frico, shiitake mushroom, roasted tomato, caramelized onions and Umami ketchup; and the Manly Burger with a house beer-cheddar cheese, bacon lardons, smoked-salt onion strings, Umami ketchup and mustard spread. Chief Operating Officer Gregg Frazer has created menu items exclusive to Umami Hudson including shareable bar-friendly appetizers designed to pair with Umami signature cocktails from the fully stocked bar, lined with 65”-70” flat screen TVs, and specialty breakfast sandwiches that introduce the elusive Umami “fifth taste” to the most important meal of the day. 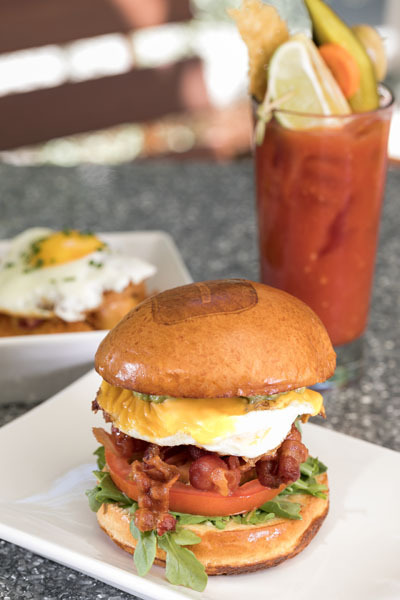 The Hudson breakfast burger features an organic over-medium egg, miso-maple bacon, avocado, fresh tomato, arugula and American cheese, topped with garlic aioli on a brioche bun. Umami Hudson is located at 358 West 58th Street, 212-554-6217. The restaurant is open Sunday – Monday 6:30am – 11pm (bar until midnight) and Tuesday – Saturday 6:30am-midnight (bar until 2am). Additional Umami Burger New York locations include Greenwich Village, Williamsburg and Brookfield Place. For more information on Umami Burger, visit umamiburger.com or follow @umamiburger or #umamiburger on Facebook, Twitter and Instagram. Founded in Los Angeles in 2009, Umami Burger has been named GQ’s “Burger of the Year,” Men’s Journal’s “Best Burger in America” and one of the “25 Most Innovative Consumer Brands of 2016” by Forbes’ CircleUp25. With the opening of Umami Burger Hudson, the brand has 26 restaurants in California, New York, Illinois, Nevada and Tokyo, with additional locations planned around the world, including nine more locations in Japan. 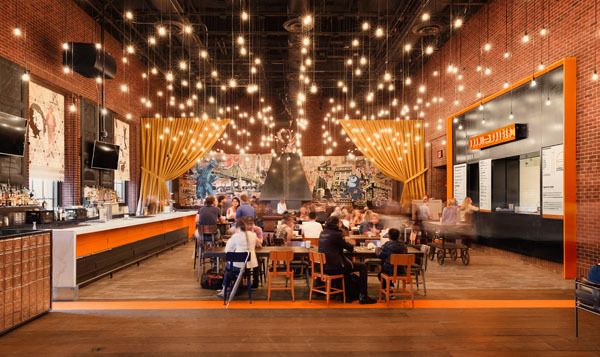 sbe, the Los Angeles-based leading lifestyle hospitality company that develops, manages and operates award-winning hospitality venues, is Umami Burger’s majority shareholder. 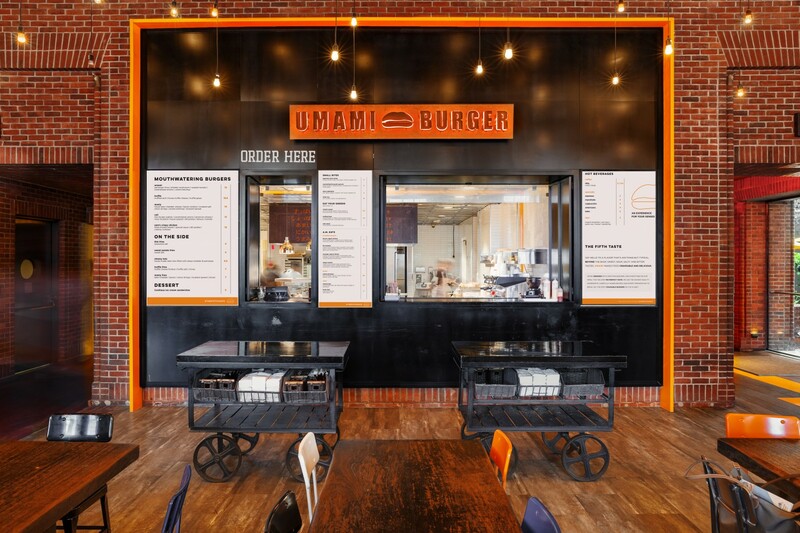 For more information on Umami Burger, please visit umamiburger.com or follow @umamiburger or #umamiburger on Facebook, Twitter and Instagram. Established in 2002 by Founder and CEO Sam Nazarian, sbe is a privately-held, leading lifestyle hospitality company that develops, manages and operates award-winning hotels, residences, restaurants and nightclubs. Through exclusive partnerships with cultural visionaries, sbe is devoted to creating extraordinary experiences throughout its proprietary brands with a commitment to authenticity, sophistication, mastery and innovation. Following the acquisition of Morgans Hotel Group, the pioneer of boutique lifestyle hotels, sbe has an unparalleled global portfolio featuring 22 world-class lifestyle hotel properties in 9 attractive gateway markets and more than 137 global world-renowned hotel, entertainment and food & beverage outlets. The company is uniquely positioned to offer a complete lifestyle experience – from nightlife, food & beverage and entertainment to hotels and residences, and through its innovative customer loyalty and rewards program, The Code, as well as its award-winning international real estate development subsidiary, Dakota Development – all of which solidify sbe as the preeminent leader across hospitality. sbe will continue its expansion with 13 hotel properties opening in the next two years (some with residences), including SLS Baha Mar, SLS Seattle, Mondrian Doha and Mondrian Dubai. The company’s established and upcoming hotel brands include SLS Hotel & Residences, Delano, Mondrian, Redbury, Hyde Hotel & Residences, Clift, Hudson, Morgans, Royalton, Sanderson and St Martins Lane. In addition, sbe has the following internationally acclaimed restaurants and lounges: Katsuya, Cleo, The Bazaar by José Andrés, Fi’lia by Michael Schwartz, Umami Burger, Hyde Lounge and Skybar. More information about sbe can be obtained at sbe.com.